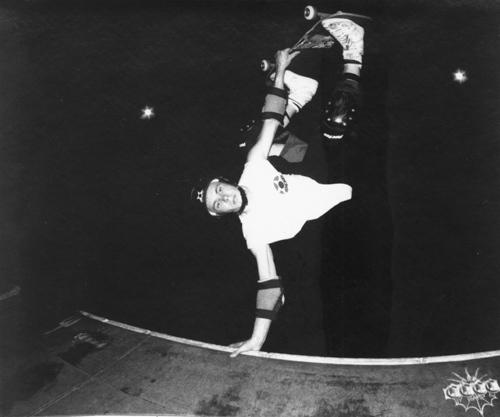 171: Jedi Frank Marley Cheap Skates PA 1991…May the Jah be with you! Started skating in 83′. Nothing fancy those first few years. Wasn’t till 87′ when some of us built a mini half in the woods by my house. That first year I learned the basics. But we were very limited with the size of the ramp and weather. 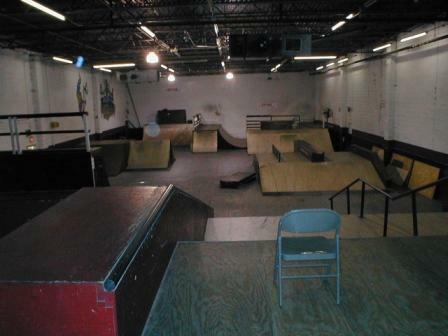 The owner of Cheapskates was offering free skate time to those who helped with the construction of the ramps. I was the only one from our group the took Rob up on that offer. That mini was huge compared to what I was skating just months earlier. Anyway. With one moth of free skating and a lot of courage later I conquered both. I was on my way to being considered a ‘Local’. For the first 2 years, Monday threw Thursday 4PM till closing. (Friday thru Sunday was always packed). Great times and met some great people there. For the next 5 years (graduating collage in 4 years is like leaving a party a 10:30) my board was my mode of transportation to a from class. And a means of exploring the area. Some great spots to skate at State Collage PA. Shame the weather is poor most of the year. 95′ I graduate with a degree in one hand and my board in the other. From then till now I took over the family business, got married and started a family. And after 24 years…….Still skating. Nice one Frank!!! Send more pics!! Cheap Skates has changed so much through its existence . Here is a pic from about 3 years ago from Derek Rinaldi. (If Vert Ramps where weeds this place got sprayed…jason) Although this is probably preferable to the current paint ball park there. 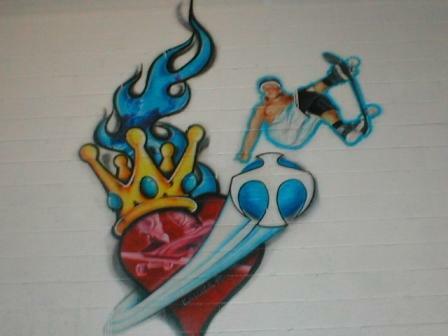 Mural of Seam Miller CheapSkates PA… too cool! Send more Cheap Skates pics… and anyone who has a Long Winter sticker…scan it, photograph it, send me the car bumper you stuck it to! That thing has become a grail quest around here. 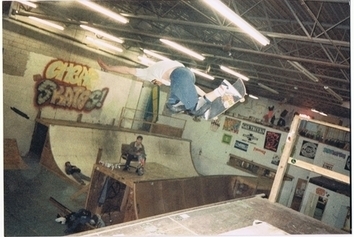 This entry was posted in 1991, Cheap Skates, Darren Menditto, Derek Rinaldi, Jedi Frank Marley, Photos by Derek Rinaldi, SKATE PARKS:, SPOTS:, TEAM STEAM and tagged 1991, ART, backyard ramps, boards, Cheap Skates, east coast, jason, Jason oliva, jasonoliva, Jedi Frank Marley, New Jersey, New York City, oliva, pA, paintings, photography, pool Skating, ramp, ride, sk8, sk8t, skate, skate decks, skate history, skate photography, Skate ramps, skate trucks, skate wheels, skateboarding, skateboarding history, skateboarding photography, skateboards, skatepark, skater, SKATERS, steam, Street Skating, TEAM STEAM, The Barn, The House of Steam, thos, vert, vert ramps, Vert Skating on July 23, 2007 by jasonoliva.